The string of volcanoes in the Cascades Arc, ranging from California's Mt. Lassen in the south to Washington's Mt. Baker in the north, have been studied by geologists and volcanologists for over a century. Spurred on by spectacular events such as the eruption of Mount Lassen in 1915 and Mount St. Helens in 1980, scientists have studied most of the Cascade volcanoes in detail, seeking to work out where the magma that erupts comes from and what future eruptions might look like. However, mysteries still remain about why nearby volcanoes often have radically different histories of eruption or erupt different types of magma. 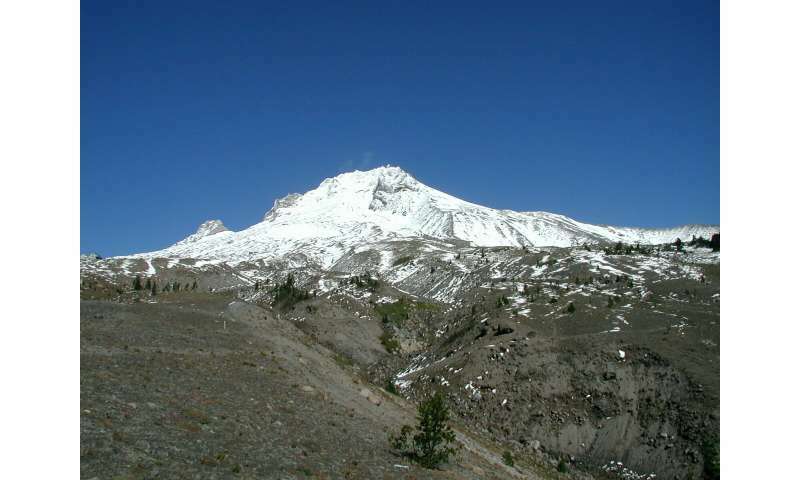 Now scientists would like to find out why—both for the Cascades and for other volcanic ranges. In a perspective essay published today (March 22) in Nature Communications, scientists argue for more "synthesis" research looking at the big picture of volcanology to complement myriad research efforts looking at single volcanoes. "The study of volcanoes is fascinating in detail, and it has largely been focused on research into individual volcanoes rather than the bigger picture," said Adam Kent, a volcano expert at Oregon State University and a co-author on the essay. 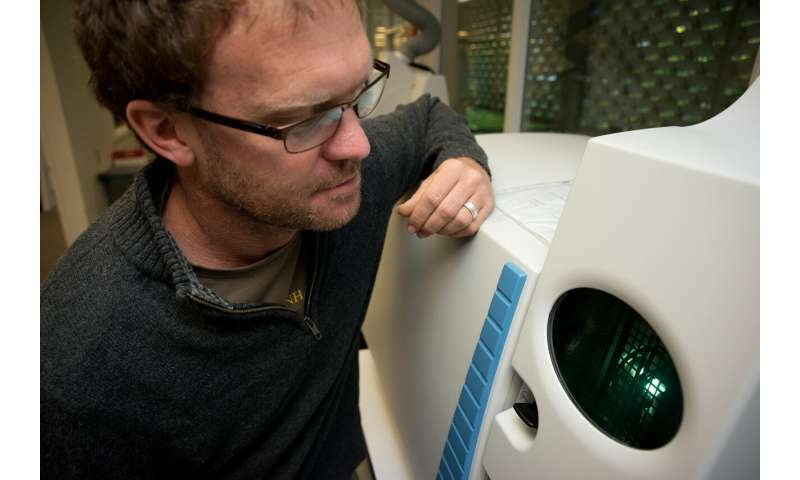 "We now have the insight and data to go beyond looking at just Mount St. Helens and other well-known volcanoes. We can take a step back and ask why is St. Helens different from Mount Adams, why is that different from Mount Hood?" The study takes a novel approach to this topic. "One way to do this is to consider the heat it took to create each of the volcanoes in the Cascades Arc, for example, and also compare this to the local seismic wave speeds and heat flow within the crust, Kent said. "Linking these diverse data sources together this way gives us a better glimpse into the past, but offer some guidance on what we might expect in the future." The need for studying volcanoes more thoroughly is simple, noted Christy Till of Arizona State University, lead author of the Nature Communications essay. Worldwide almost a billion people live in areas at risk from volcanic eruptions, 90 percent of which live in the so-called Pacific Ring of Fire. The subduction of the Juan de Fuca tectonic plate beneath the North American plate is the ultimate driver for the formation of the Cascade Range, as well as many of the earthquakes the Northwest has experienced. Subduction results in deep melting of the Earth's mantle, and the magma then heads upward towards the crust and surface, eventually reaching the surface to produce volcanoes. But there are differences among the volcanoes, the researchers note, including in the north and south of the Cascade Range. "The volcanoes in the north stand out because they stand alone," Kent said. "In the south, you also have recognizable peaks like the Three Sisters and Mount Jefferson, but you also many thousands of smaller volcanoes like Lava Butte and those in the McKenzie Pass area in between. Our work suggests that, together with the larger volcanoes, these small centers require almost twice the amount of magma being input into the crust in the southern part of the Cascade Range." "If you live around a volcano, you have to be prepared for hazards and the hazards are different with each different type of volcano," Kent said. "The northern Cascades are likely to have eruptions in the future, but we know where they'll probably be—at the larger stratovolcanoes like Mount Rainier, Mount Baker and Glacier Peak. In the south the larger volcanoes might also have eruptions, but then we have these large fields of smaller—so called 'monogenetic' volcanoes. For these it is harder to pinpoint where future eruptions will occur." The field of volcanology has progressed quite a bit, the researchers acknowledge, and the need now exists to integrate some of the methodology of individual detailed studies to give a more comprehensive look at the entire volcanic system. The past is the best informer of the future. "If you look at the geology of a volcano, you can tell what kind of eruption is most likely to happen," Kent said. "Mount Hood, for example, is known to have had quite small eruptions in the past, and the impact of these is mostly quite local. Crater Lake, on the other hand, spread ash across much of the contiguous United States. "What we would like to know is why one volcano turns out to be a Mount Hood while another develops into a Crater Lake, with a very different history of eruptions. This requires us to think about the data that we have in new ways." The 1980 eruption of Mt. St. Helens was a wake-up call to the threat of volcanoes in the continental United States, and though noteworthy, its eruption was relatively minor. The amount of magma involved in the eruption was estimated to be 1 kilometer cubed (enough to fill about 400,000 Olympic swimming pools), whereas the eruption of Mt. Mazama 6,000 years ago that created Crater Lake was 50 km cubed, or 50 times as great. The researchers say the process of building and tearing down volcanoes continues today, though it is difficult to observe on a day-to-day basis. "If you could watch a time-lapse camera over millions of years, you would see volcanoes building up slowly, and then eroding fairly quickly," said Kent, who is in OSU's College of Earth, Ocean, and Atmospheric Sciences. "Sometimes, both are happening at once." Which of the Cascades is most likely to erupt? The smart money is on Mount St. Helens, because of its recent activity, but many of the volcanoes are still considered active. "I can tell you unequivocally that Mount Hood will erupt in the future," Kent said. "I just can't tell you when." For the record, Kent said the odds of Mt. Hood erupting in the next 30 to 50 years are less than 5 percent.